Just brilliant!!. Excellent vision from the raised helm position and panoramic windows. 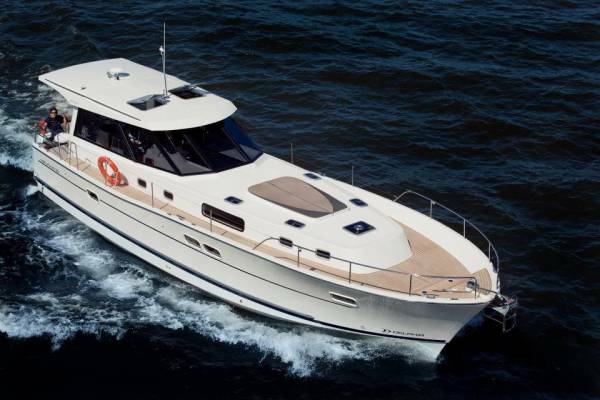 With rising energy costs in mind, this easily driven trawler style cruiser, couple to Kubota's latest technologically advanced engines makes these boats very economical to operate. 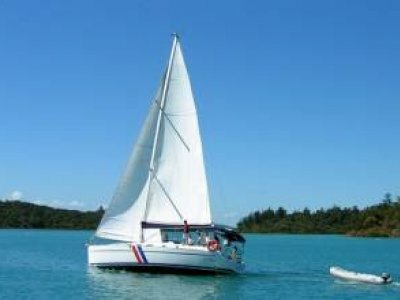 Great accommodation, with 3 private double cabins, the master forward cabin with ensuite, well equipped galley and saloon dining area, large sheltered cockpit with table and seating and additional seats across the stern. Walk around decks have high bulwarks with railings and lifelines providing safety at sea, if going forward. Boarding platform and swim ladder at stern provide easy access to step thru transom. Andrzej Skrzat, well known for his good performing and stable sailing yacht designs in the Delphia range, has excelled with the planning and thought that has gone into this comfortable motor cruiser. 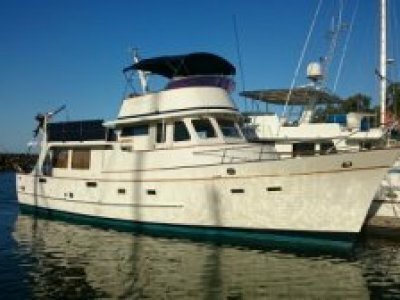 Ideal in our large harbours, reef trips or extended long range coastal cruising. Optional covers available for around cockpit and stern. 2 x private cabins aft, master double stateroom forward with ensuite, desk, seat, hanging lockers. Saloon with galley, dining with two armchairs, head, large weather protected cockpit with raised helm position, seating and table plus seating across stern. Modern, contemporary, and stylish. Standard timber interior trim is beech. Ask for photographic samples. 2 x 12v electric macerator toilets with holding tanks. Stainless steel sink with hot and cold pressure water, 2 burner lpg stove with oven, good storage and working counter space on Corian bench tops. 1400W 12V anchor winch, Delta 20KG anchor, 60m x 10mm gal chain. Fire extinguishers, 12V electric and manual bilge pumps, remainder as required by state regs. 2 x house batteries, 1 x start battery, 1 x bow thruster battery. Led nav lights. Battery charger, wired 240vac and 12vdc with circuit breaker switching. Cabin and cockpit lighting. Bow thruster. Swim ladder at stern, 6 x mooring cleats and fair leads, high bulwarks and safety railings and lifelines. Modern contemporary styling, well equipped, economical to run and very well priced. 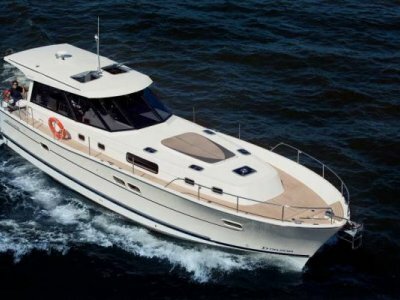 Ideal for todays high fuel prices in a comfortable sea kindly hull. Excellent all round vision for all in the cockpit. 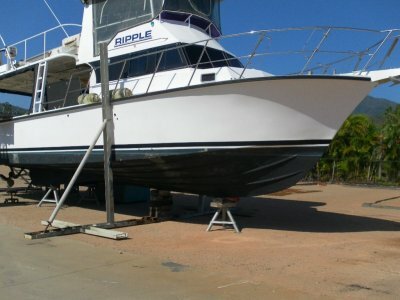 Extensive option list available to tailer make the boat to your requirements. Pricing correct as at 5-6-2018 but variations can occur with currency exchange rate fluctuations and factory changes to standard equipment. As for a quote.